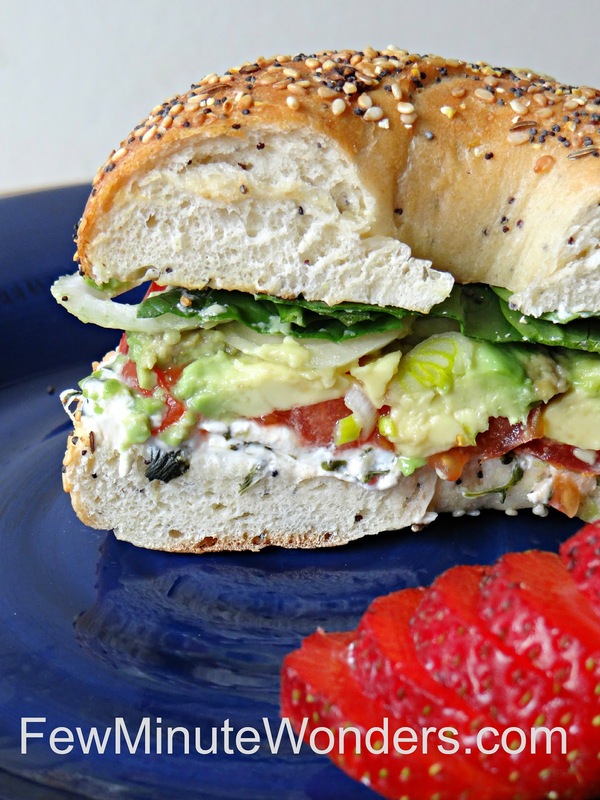 These days when you want to grab some lunch on the go, bagel sandwiches are available in most places and they are very delicious. This afternoon for lunch I made myself a bagel sandwich in less than it takes to place an order of the same at the bagel shop. You can custom make the sandwich and use all your home made chutneys, dressing or butter and have a delicious and healthy sandwich. Costco now sells Einstein bagels that store very well. I keep them handy for creating a sandwich for lunch or for an after school snack. 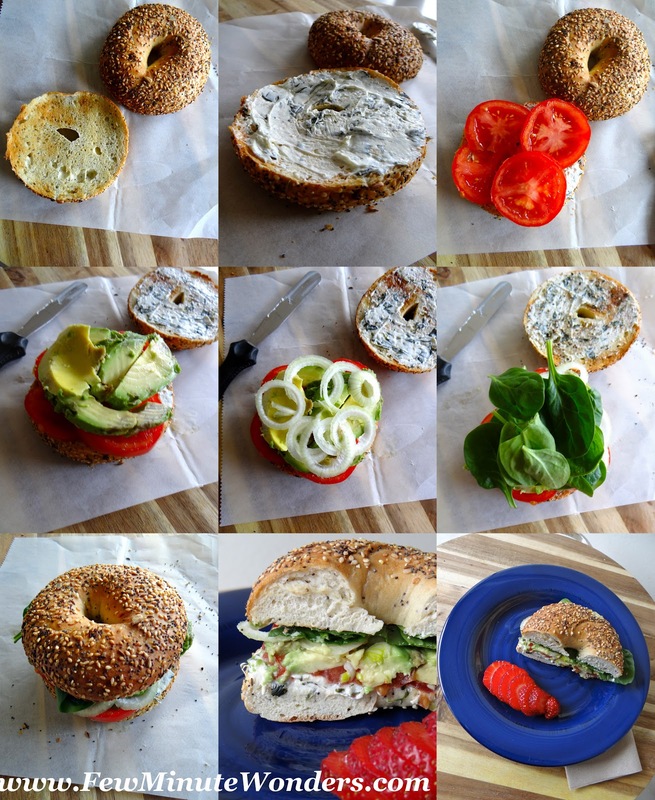 My pick was cream cheese with spinach, tomatoes, spinach, onion and avocado, seasoned with salt and pepper. 1. Slice the bagel into 2 halves and toast them. 2. 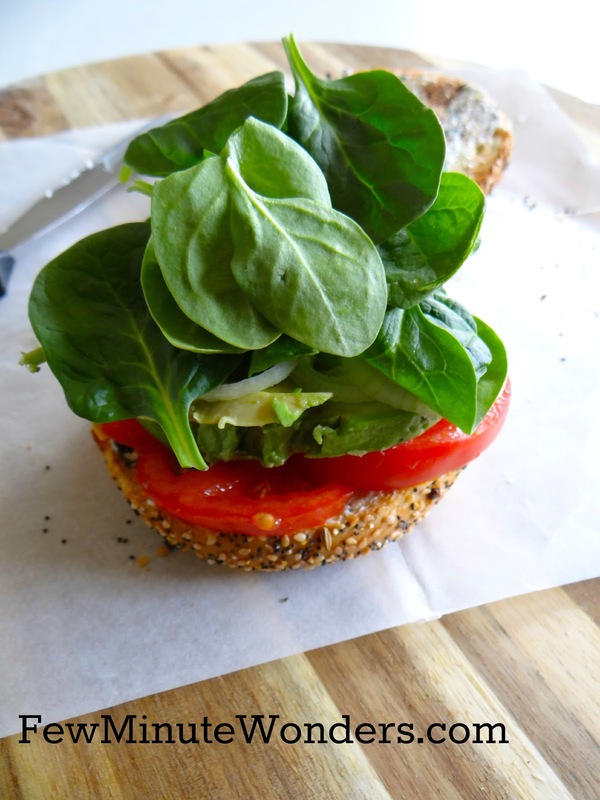 Spread Cream cheese on one half and top them with tomatoes, avocados, onions and spinach. 3. Season with pepper and salt and cover with the other bagel half . 4. Lightly press the bagel and cut the bagel into 2 halves. Enjoy them. I love this sandwich, you bagels are my favorite treat when I goes out. Easy to make, hearty sandwich..
Yummy sandwich..kids love it for sure. Makes me hungry,colourful and healthy sandwich. One filling and tasty sandwich..